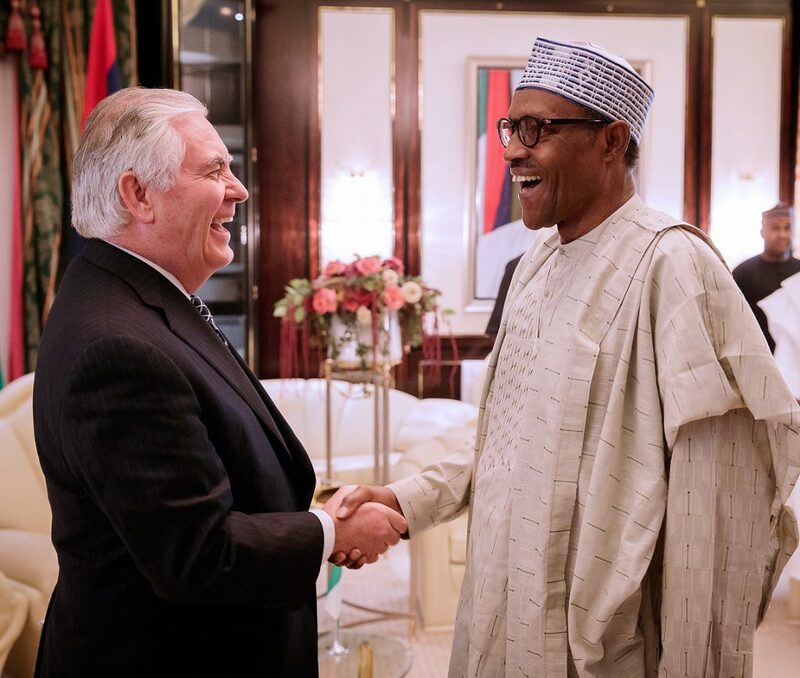 President Muhammadu Buhari and the U.S. Secretary of State Rex Tillerson met on Monday at the presidential villa, Abuja. The two spoke on trade, security among others. Earlier, it was reported that the top diplomat has cut short his first trip to Africa to return to Washington. “Tillerson’s travel plans have changed so that he can return to Washington early on Tuesday morning instead of late that night,” a spokesman for Tillerson told reporters travelling with him. Reuters quoted the aide as citing the need for Tillerson “to deal with urgent work” back home. A Press Advisory from the U.S. Embassy had said that Tillerson would hold talks with Buhari on Tuesday. “When he arrives, Tillerson will become the highest ranking official in the Trump Administration to visit Nigeria. “The secretary is expected to hold a press conference at the Presidential Villa on Tuesday by 11.45 a.m. “Tillerson is expected to be joined in the press availability by Minister of Foreign Affairs Geoffrey Onyeama,” the embassy stated.